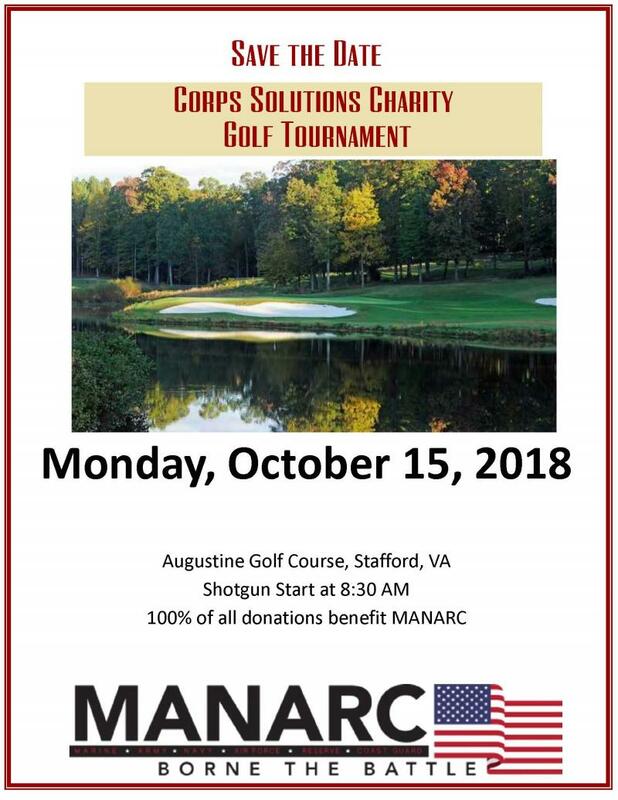 MANARC is partnering with Corp Solutions will host our 2nd annual Golf Tournament October 15th at Augustine Golf Club. 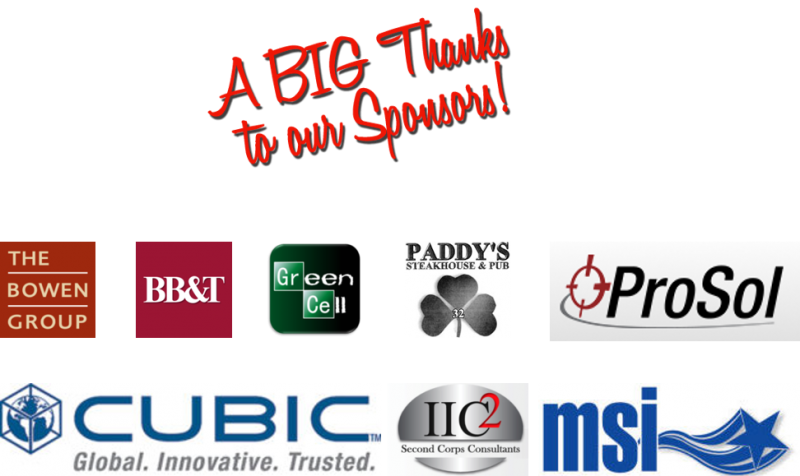 Once again, we are excited to announce our partnership with Corps Solutions for our second annual Golf Tournament to be on October 15, 2018. Augustine Golf Course will host our event. More details will be posted within the next week. This year marks a significant milestone celebrating 3 years in business. The successful growth of our company is the direct result of our community donors, community partners, employees, volunteers and board members. 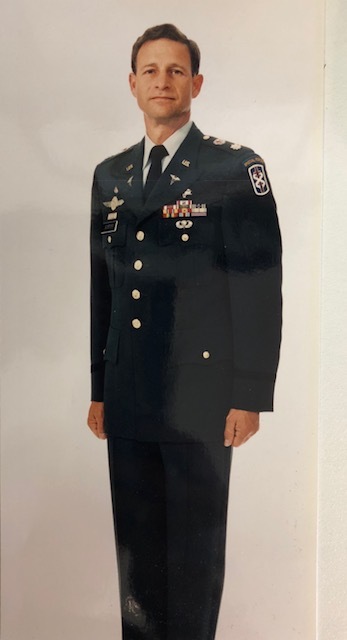 As MANARC moves forward and opens a second location next summer, we hope you continue to donate your goods of furniture, housewares, vehicles, etc., to our mission in supporting our community partners, Semper Fi Fund, Homes for our Troops and the local VFW Post 3103. Our American heroes deserve our utmost respect and appreciation. Without our veterans, we would not have the rights and freedom we have today. Our veterans sacrifice time with their families and miss the most significant milestones the rest of us take for granted. Thank a veteran for serving as a heroic example of who we are and what we can dream to be. Please let us never forget that freedom comes with a price. We take this opportunity to thank you in helping us succeed in supporting our established veteran organizations and invite you to join us in celebration of this accomplishment. Please join us on Friday, August 4th from 2PM to 8PM at 107 William Street for refreshments and appetizers. As an added thank you we will offer 50% off the entire store. We look forward in greeting you as our special guest and personally thanking you for your support. 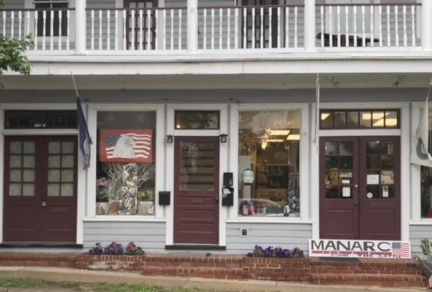 MANARC, Borne the Battle is a non-profit re-sale store operating on donations from the community with the express purpose of providing support to established veterans organizations. Manarc is interested in partnering with a local company to raise money for Homes For Our Troops. If you are interested in organizing a fundraiser with Manarc, please call at 540-621-6661 or stop by the store to see Deborah. Last years Charity Golf Tournament! We are pleased to announce that Manarc will open a second location in the summer of 2018 in Culpeper, Virginia. Fredericksburg's annual sidewalk sale April 29th and 30th, 2017. Manarc will participate in the annual Historic Half May 2017. Special discounts Memorial Weekend for service members and their families. Manarc will paricipate in the Jeep Fest August 5, 2017. Manarc will participate in Grapes and Grains at the Bowen Center October 2017: Details at a later date. Golf Tournament in October 2017: Details at a later date. 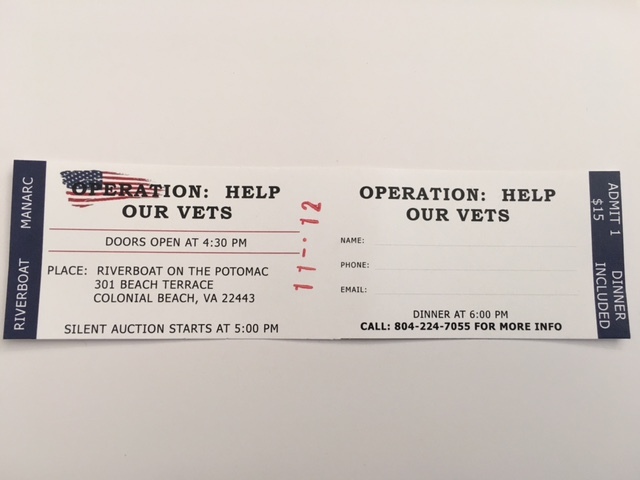 Limited Tickets available for OPERATION HELP OUR VETS. 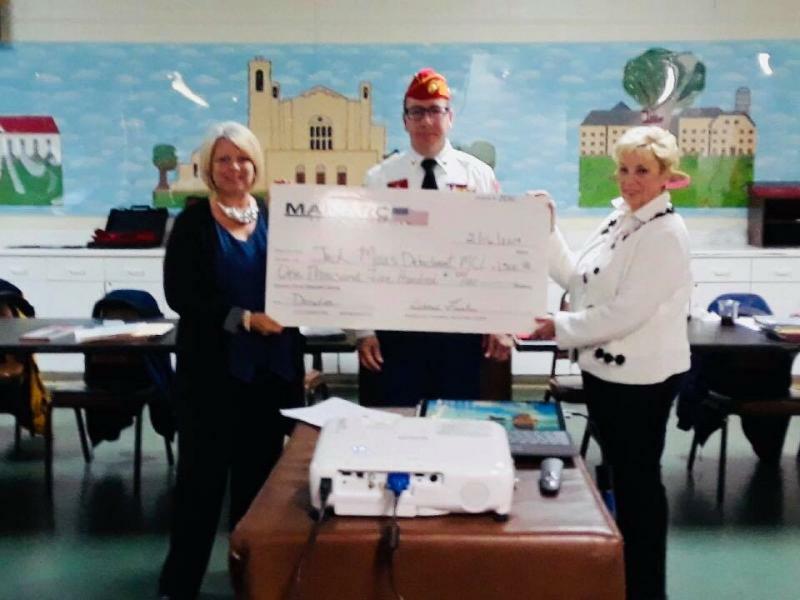 Bob Danko, President of MANARC presenting a check to VFW Post 3103 on June 17, 2016. Manarc will participate in the fall sidewalk sale held downtown on Sept. 15-16th. Manarc will offer 50% on all items outside. Manarc's staff will participate as servers in the downtown dinner under the stars. We will also provide 100 free items for the swag bags given out. Manarc will participate in the Scarecrow contest again this year. A theme has not been decided. Contest runs October 5-31st. Treats on the Streets October 27th from 10 AM to Noon. Manarc will be handing out free candy. Bring your little ones all dressed up in their favorite costumes. Holiday Open House is November 10th-11th. Fredericksburg Christmas Parade December 1st. Manarc will have our 2nd annual Golf Tournament on October 15th, 2018. Manarc participated in the Heritage Festival on July 4th in Fredericksburg, Va.
Manarc participated in Business After Hours with Businet and Chamber of Commerce at the Fredericksburg Fair Grounds in June 2018. Manarc spoke at the Marine Corps womens league in June 2018 in Stafford, Manarc participated in Everything but the Garage at the Fredericksburg EXPO Center in April 2018. Marnarc participated in Earth Day at Old Mill Park in April 2018. Manarc has moved to a new location on February 1st. 1008 Sophia Street, just around the corner from the previous location. Front and side entrance where there is parking. 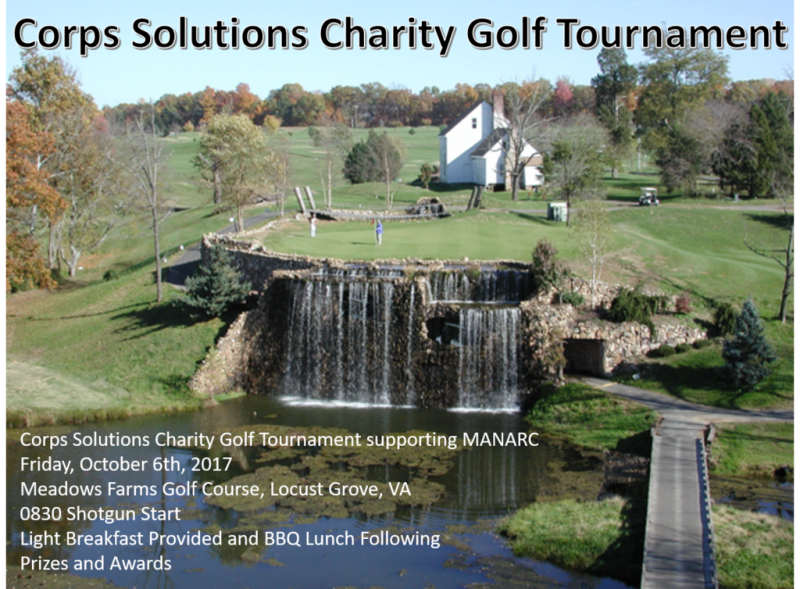 October 6th, Manarc will participate and sponsor a fundraiser with Corps Solutions at Meadow Farms Golf for our first Golf Tournament. August 26th, Manarc will sponor and participate in our First Annual Poker Run. Registration begins at 2pm at Manarc 107 William Street. August 5th, Manarc will participate in Jeep Fest at Meadows Event Park in Doswell, Va. from 9am to 5pm. August 4th, Manarc will celebrate 3 years in business with an open house from 2pm to 8pm at 107 William Street. Manarc will have a booth at Earth Day on April 22 at Old Mill Park from 9am to 4pm. Manarc has new board members. As per our By Laws with the IRS and the Department of Agriculture, we must replace every two years. Wine Night every Friday from 4 to 7. 15% off if you shop the same day you donate. Deborah Franks, CEO scheduled to speak at the Moose Lodge January 21st at 9am. Manarc participated in Treats on the Streets in Downtown Fredericksburg. Manarc participated in the local Scarecrow contest for business theme. www.theriverboat.net=tickets on sale 2nd week in August. CEO speaking engagement scheduled at the Fredericksburg Senior Center on August 10th (11:30) at 408 Canal Street, Fredericksburg, Va.22401. August 6th, Manarc will be participating in Back to School at Spotsylvania Towne Centre. Stop by our booth from 10 to 4. August 2nd, Manarc will be participating in Annual Night Out at Spotsylvania Towne Centre. Stop by our booth from 3 to 6. July 29th Manarc celebrated 2years in business. 50% off of all Art work to include mirrors thru 5/31/2016. May 3rd, Community Give-Thank you community for all of your generous donations. Manarc will be able to improve much needed lighting in the store. The remaining funds will be distributed between the 3 organizations we partner with. Join us on April 18th from 4pm to 8pm at Panera Bread in Central Park. Bring the flyer with you or an electronic copy. Proceeds benefit Manarc and Semper Fi Fund. Show you liked us on Facebook and receive 1 free $1 clothing.